Depression is the leading cause of disability worldwide. Postpartum depression effects up to 12.4% of women and negatively impacts parenting behaviors as early as infancy. This study examined the associations between maternal depressive symptoms and warm responsiveness from the third trimester of pregnancy through 18 months postpartum. This study assessed a high risk community sample (N = 682) of first-time mothers, ranging in age from 14–36 years old, with a majority identifying as African American and low income. Maternal depressive symptoms were assessed with a self-report measure, the Beck Depression Inventory II, prenatally and at six and 12 months postpartum, while maternal warm responsiveness data were coded via in-home observations with the Landry Observational measure at four, eight, and 18 months postpartum. Latent growth curve modeling was used to assess the associations between depressive symptoms and warm responsiveness over time. The change in depressive symptoms was −4.92 (SE = 0.39, p < 0.0001) demonstrating that depressive symptoms decreased over time. The change in warm responsiveness was −0.55 (SE = 0.06, p < 0.0001) demonstrating that warm responsiveness also decreased over time. Greater depressive symptoms prenatally were significantly associated with less warm responsiveness at 4 months postpartum (B = −0.03, SE = 0.01, p < 0.01). However, changes in depressive symptoms were not significantly associated with changes in warm responsiveness over time. It is important to assess for symptoms of depression during pregnancy in order to provide women the opportunity to have access to more resources and support. E.A.M. : developed the hypotheses, assisted with the data analyses, and prepared the manuscript. A.K.N. : assisted with the development of the hypotheses, oversaw and assisted with the data analyses, and collaborated in the writing and editing of the final manuscript. A.W. : collaborated in the writing and editing of the final manuscript. This study was funded in part by the National Institute of Child Health and Human Development (grant R01 HD039456). All procedures performed in studies involving human participants were in accordance with the ethical standards of the institutional and/or national research committee and with the 1964 Helsinki declaration and its later amendments or comparable ethical standards. This secondary data analysis of de-identified data was determined to be exempt from human subjects review by the IRB at Michigan State University. Borkowski, J. G., Carta, J., Warren, S. F., Ramey, S. L., Ramey, C., Guest, K., Lefever, J. E. (2013). Predicting and Preventing Neglect in Teen Mothers (2001-2007) [dataset]. Available from National Data Archive on Child Abuse and Neglect Web site, http://www.ndacan.cornell.edu. Burt, V. K., & Quezada, V. (2009). Mood disorders in women: Focus on reproductive psychiatry in the 21st century—Mothers at risk update 2008. Canadian Journal of Clinical Pharmacology, 16, 6–14. https://pdfs.semanticscholar.org/1c05/887ea94134c402fe1b3cb6f952bc14636121.pdf. Collins, W. A., Maccoby, E. E., Steinberg, L., Hetherington, E. M., & Bornstein, M. H. (2000). Contemporary research on parenting: The case for nature and nurture. American Psychologist, 55(2), 218–232. https://doi.org/10.1037//0003-066X.55.2.218. Doss, B. D., Rhoades, G. K., Stanley, S. M., & Markman, H. J. (2009). The effect of the transition to parenthood on relationship quality: An eight-year prospective study. Journal of Personality and Social Psychology, 96(3), 601–619. https://doi.org/10.1037/a0013969. Hamilton, M. (1960). A rating scale for depression. Journal of Neurology, Neurosurgery, and Psychiatry, 23, 56–62. https://www.ncbi.nlm.nih.gov/pmc/articles/PMC495331/. Kessler, R. C., Berglund, P., Demler, O., Jin, R., Koretz, D., Merikangas, K. R., & Wang, P. S. (2003). The epidemiology of major depressive disorder: Results from the National Comorbidity Survey Replication (NCS-R). Journal of the American Medical Association, 289, 3095–3105. https://doi.org/10.1001/jama.289.23.3095. Krink, S., Muehlhan, C., Luyten, P., Romer, G., & Ramsauer, B. (2018). Parental reflective functioning affects sensitivity to distress in mothers with postpartum depression. 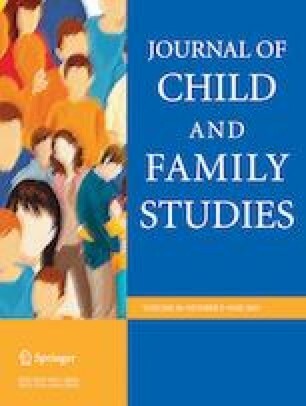 Journal of Child and Family Studies, 1–11. https://doi.org/10.1007/s10826-017-1000-5. Lovejoy, M. C., Graczyk, P. A., O’Hare, E., & Neuman, G. (2000). Maternal depression and parenting behavior: A meta-analytic review. Clinical Psychology Review, 20, 561–592. https://doi.org/10.1016/S0272-7358(98)00100-7. World Health Organization (2017). “Depression: let’s talk ” says WHO, as depression tops list of causes of ill health. http://www.who.int/mediacentre/news/releases/2017/world-health-day/en/.